June 22, 2015A new series of reports for the LowCVP say that the UK can develop the infrastructure necessary to deliver the low carbon fuels of the future but that strong coordination is needed between key actors. 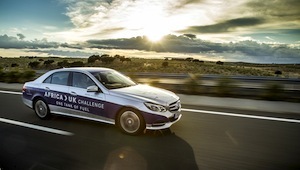 July 2, 2014A standard, British-registered Mercedes-Benz E 300 BlueTEC HYBRID has driven from Africa to the UK non-stop on one tank of fuel. April 12, 2013Aston Martin is to race a hybrid hydrogen-powered Rapide S at the 41st ADAC Zurich 24 Hours of Nürburgring next month. Will the electricity grid cope with the charging of EVs? 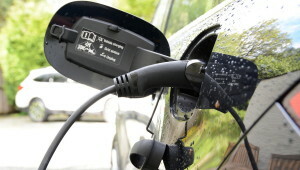 November 30, 2012An innovative project that will aim to provide a solution to the potential impact that the recharging of electric vehicles (EVs) may have on the local electricity network has been approved for Low Carbon Networks funding by Ofgem. September 18, 2012The Nissan TeRRA concept is a compact SUV powered by a hydrogen fuel cell with three electric motors for four-wheel drive. A joint call for collaborative R&D projects under theаNiche Vehicle R&D Programme, withаг900,000 funding, has beenаannounced by Cenex, the Technology Strategy Board and the Office for Low Emission Vehicles (OLEV). The new Mazda TAKERI and CX-5, both with SKYACTIV technologies, will be on display at the 2011 Tokyo Motor Show. The UKs first open access hydrogen vehicle refuelling station has been officially opened at Hondas manufacturing facility in Swindon. As the next stage in making conventional engines more efficient, BMW is looking to recover and reuse heat energy lost through the exhaust and that absorbed by the engine cooling system. Mazda may not have been a leader in the area of green cars over recent years, but all that is about to change with the companys new SKYACTIV technology, which is set to appear on the new Mazda CX-5.